Cruise Lines International Association UK & Ireland (CLIA) has published its marketing review of 2016. 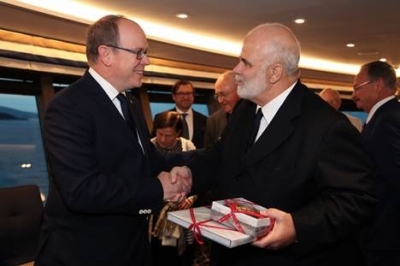 BTN takes a look at this eagerly-awaited document and also reports on Silver Muse, the latest addition to the Silversea fleet. With a capacity for just 596 guests and offering a wealth of state-of-the-art features and facilities, Silver Muse is set to shake up the ultra luxury cruise sector. “Muse” features children’s facilities, the first for the line but it is a small and discreet area. Easily located, everything on Muse is, but it is not something Silversea actively promotes, an unobtrusive courtesy extra that the Italian company offers for clients wishing to take their youngsters along, usually in the school holidays . Cruising is on a boom. You only have to look at the travel pages of the national newspapers. The CLIA report is thorough and inquisitive. One in nine UK package holidaymakers booked a cruise last year. A record 1.889m vacationers from the UK and Ireland took an ocean trip in 2016, proving that the wide choice of cruise holiday experiences, worldwide destinations and high levels of service offered in this segment of the holiday market gives exceptional value. However, since 2014 the British Isles numbers have remained just behind Germany with 2,018m, with Italy leading the rest of Europe at only 750,000 cruisers. As our love affair with the traditional Mediterranean holiday continues to go from strength to strength, this sector is reaping the benefits as holidaymakers make the most of being able to visit multiple European hotspots in one holiday. Certain lines, typically P&O, Saga and CMV, also focus on the fact that you don’t have to change your holiday money into euros. Even with a fly-cruise, you can book your shore activity on board in sterling with never a need to change money. Let the operator worry about fluctuating currency rates. Mediterranean fly-cruises remain the number-one choice (458,000 passengers in 2016), with Western Europe itineraries from UK ports (272,000) now firmly established at number two. Last year was a great one when it comes to ultra-luxury cruises, with both a host of new ships being launched in the sector and a record number of passengers opting to sail with one of the up-market brands. A near-9% rise in sales ensured that the total surpassed the 2012 peak of 28,450 and fell just short of 29,000 sales. Silver Muse (see below) testifies to what 2017 is bringing to this ‘six star’ sector of the market, with another Viking ship arrived and for 2018 Scenic offering its first deep sea operation. The number of passengers starting their cruise holiday at home grew strongly in 2016 with UK cruise departures now accounting for 48% of the market. The 2016 comparison reflects a 9% rise in the number of passengers departing directly from the UK (912,000 passengers), which can be attributed to the convenience of travelling to the port, the wide range of ships now sailing from the UK, and the incredible value for money that an ‘ex-UK’ sailing offers for holidaymakers. While the major cruise lines stick resolutely in the main to Southampton, relative newcomers such as CMV are developing new regional cruise ports such as Bristol, Dundee, Liverpool and Newcastle. Tilbury is very convenient for the M25 but we still wait for news regarding another London cruise terminal at Greenwich. Fly-cruises were up in 2016 with a 2.8% increase as those travelling from the UK and Ireland choose to make the most of the new ports and destinations that cruise lines are visiting. The trend in 2016 was to book further in advance, frequent travellers taking advantage of discounts offered on board their previous trip and guaranteeing ship location, departure dates and travel arrangements. In 2013, 40% of bookings were made in the last three months. Now it is down to 27% and falling. The south east and London accounts for only 18% of the UK population but in 2016 represented 26% of bookings. The south west market is growing, 9% of the population but 16% of cruise passengers. For whatever reason, Scotland is in decline, 8% of the country but only 5% of bookings, a drop by half since 2012. Another interesting trend is the increase in transit passengers, which should develop further due to the attraction of the exchange rates following the Brexit vote. A 20% increase in overseas clients passing through UK ports (mainly Southampton due to its proximity to Heathrow and London) brought the total to 1.2m in 2016, the seventh double-digit percentage increase in eight years. The numbers have doubled since 2010. Another interesting statistic is that the average age of the passengers has fallen to 55, its lowest in six years. There was a surge in ultra-luxury cruise bookings, with an 8.5% increase in sales. The 2017 survey runs to 20 pages and if you are a cruise operator, specialised sales outlet or just interested in the market it is well worthwhile printing out. Also published at the same time is the European Cruise Market 2012-2016. This looks at the penetration of cruising by countries and details where the customers are going. BTN will look at river cruising next month. The UK market review by CLIA. CLIA and the European market. BTN was among a select group of journalists from all over the world selected to partake in a Silver Muse shakedown cruise last month, Marseille to Barcelona, via for what was for most of us a new port, Tarragona. Just 50 road miles south of Barcelona, it is also the home of Ferrari Land (See BTN 6 April). With just two nights on board, hospitality galore, plus a busy press conference and Ferrari Land, it was impossible to take in all that Silver Muse offers. Eight restaurants to sample, a splendid looking spa, a very well equipped gym, what is one of the largest swimming pools at sea, and of course ShowTime. 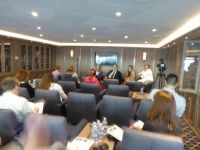 Plus the very senior management around to talk about the cruise market, and take in comments regarding the vessel where improvements can be made. Muse is a very quiet ship, not only in terms of hush, but also décor. Not for Silversea the traditional brass railings, dark woodwork and trappings of an earlier era. The new luxury approach for Silver Muse is an Italian elegance affair. None of the public spaces is outwardly lavish. And that's on purpose. In the words of Silversea chairman Manfredi Lefebvre d'Ovidio, Silversea is about a kind of luxury that is "elegant not opulent" in its focus. No glitter, but style. Silver Muse sets a new standard, very modern, perhaps even trendy. It is an obvious step forward, with your boarding card (you can’t call it a key card any longer) electronically opening the suite door similar to a contactless touch-and-go credit card. The new ship represents the evolution of Silversea from the original Silver Cloud of 1994 to Silver Spirit of 2009. She is is much related and just fractionally larger than Spirit. For the future, new similar-size vessels are planned for 2020, 2021 and 2023. Cloud is about to be turned into an expedition ship brought up to date and ‘Mused’. Much of the new interior design is to be replicated, Silversea for the future. 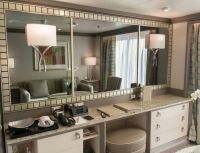 All Silversea cruise ships follow a similar outline design with the passenger services, such as restaurants, bars, theatre and spa facilities towards the stern and passenger suites at the front end. Together with butler service for everyone, and 24hr courtesy suite dining, it is something the Italian line has very successfully standardised on. Free drinks as well. At 40,000 tons, Muse is large enough to offer just about everything the discerning passenger needs. 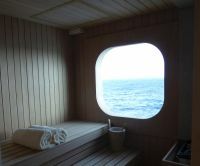 There is plenty of deck space and no need to be first up in the morning to grab a sunbed. Wherever you choose to sit, staff are always on hand to serve you. And no pesky bills to sign. The courtesy wi-fi was like being at home. Faultless. The new Silversea is extremely likeable – stylish but understated interiors, more space, roomier suites, wider corridors, a spa that offers an holistic sensory experience. But it is the eight restaurants that stand out most. This is a huge number for a ship with a maximum, as stated, 596 passengers (and 411 crew). This abundance of eating places results in a variety of choices but no main dining room. The top restaurant, La Dame by Relais & Châteaux, serves classic French dishes prepared with locally-sourced ingredients (wherever the ship happens to be) like foie gras and Limousin beef, paired with elegant wines. There is a $60 cover charge, which does not cover the cost according to Silversea but is a way of controlling demand for what is a very intimate experience. The other formal restaurant, a grill, is Atlantide, serving steaks and seafood, spacious and well laid out with dining from 19:00 until last seating at 21:30. Here you need to follow the rules on attire for each evening but for all other food outlets (except La Dame), it is informal attire . Kaseiki offers Japanese cuisine in a casual, convivial atmosphere, with sushi and sashimi featured by day. At night, the focus shifts to the teppanyaki grill, where diners have front-row seats as the chef cooks. This is the other chargeable experience, again at $60. Indochine serves contemporary pan-Asian dishes inspired by the spices and cooking styles of countries such as India, Thailand and Vietnam. Up high on Deck 11 overlooking the pool, one deck below and featuring genuine Italian-style pizza is Spaccanapoli, a daytime eating area. Since it was such a short cruise, we took a starter at what is termed the Grill (in fact high-quality fast food) besides the pool and then climbed the steps for the main course. These venues join Silversea familiars like Hot Rocks, also by the pool, where evening diners select their own meat, fish and vegetables to cook on a personal 400deg C. lava stone. Altogether, there are 26 eating concepts, we were told. At the stern, La Terrazza is open for buffet-style breakfast, lunch and waiter dinner where in daytime there is a mozzarella bar, a seafood station and a salumeria, or what we would call a deli bar. Finally there is Silver Note, where diners savour tapas-style dishes against a backdrop of live jazz and blues. Silversea culinary director Rudi Scholdis said the concept was inspired by Peruvian fusion cuisine. He describes his Silver Note fare as “Peru meets Japan meets Scandinavian raw food meets South Beach”. Not counted among the restaurants but also serving light dishes, which change depending on the time of day, is the Arts Café, with 'pick and go' snacks such as cheese plates, fresh fruit cups and smoothies. In the evenings, the music goes up and the lights go down, and canapés are served. The standard suites, marketed under various names, are all the same, priced according to position and deck and very generous in size with a separate lounge area. But even if you are near the bow and low down on deck five, it is not far to walk to get to wherever you want to be. Six lifts service the ship. There is virtually no waiting. Everyone has both a separate tub and shower. Silver Muse is not perfect. The beds are perhaps too high, although there is a need for luggage storage space beneath, and whoever came up with the idea of embedding the two TV screens into wall mirrors needs to see for himself the results. Only with the curtain drawn and with most of the lights out can you really see what is going on. It is one of those things that must have seemed like a good idea at the time. Bathrooms on ships generally have a small lip as you enter, and a good chance to trip over. With Muse it is a proper step, and it works. You know it is there! A nice touch is the reading lights, à la executive class on long-haul aircraft. There is plenty of cupboard space if you are going to be on board for a long time and when breakfast is served in your suite a large table top fits over the lounge area table for the two of you to eat comfortably. Or you can sit out on the spacious balcony. Muse offers a small number of truly sumptuous grand and silver suites including the Balsorano Owner’s Suite, a unique space which reflects the taste and Italian tradition of host and Silversea chairman Manfredi Lefebvre d’Ovidio. They sell first. Barbara Muckermann, chief marketing officer at Silversea Cruises, summed up the ship and concept: “Owned and operated by one family – the Lefebvres of Rome – Italian tradition is firmly ingrained in the Silversea brand”. Without doubt. Silversea is a unique cruising product. Muse will spend the rest of the summer in the Mediterranean, finally leaving Southampton on a transatlantic voyage to Montreal and on to Fort Lauderdale, its home, for most the winter season. Shadow (388 passengers), Spirit (540), Whisper (388) and Wind (302) are all based in Europe this coming season. And, as previously noted once you know your way around one you will know them all.